Summer is almost here so it’s the perfect time to take advantage of our special offer on Walk in Runs. This offer has been so popular that we’re currently out of stock, but you can now place your preorder at the discounted price for delivery in July. 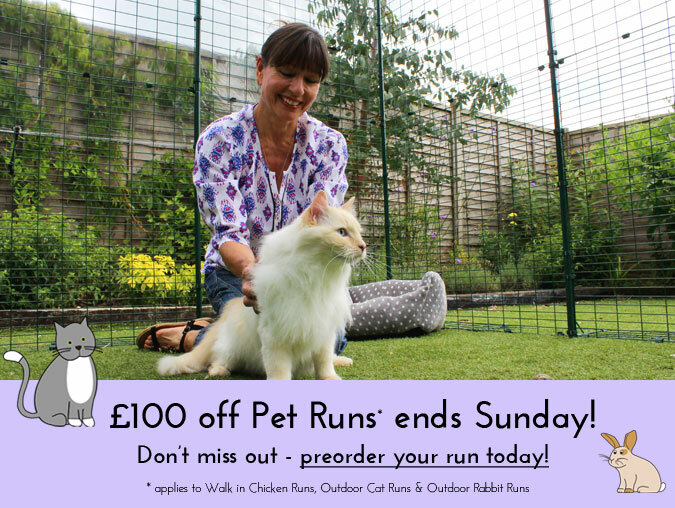 Get £100 off Walk in Chicken Runs, Outdoor Cat Runs and Outdoor Rabbit Runs until Sunday! With prices from just £199.99 (for a lo-rise version), you don’t want to miss out on this cracking offer. Order today and treat your pets to a super, secure space this summer. 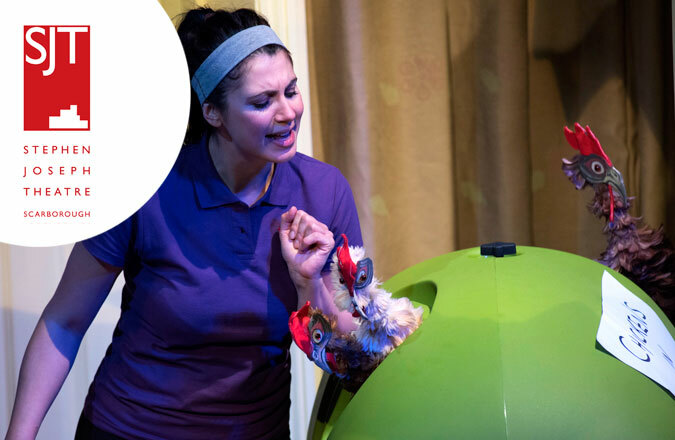 Win Tickets to see the Eglu in Theatre! We are thrilled that the Eglu Classic has been invited back onto the stage for the second year running. The Stephen Joseph Theatre’s production of Cox & Box – Mrs Bouncer’s Legacy is back this summer, with some eggstra special guests. Unfortunately our gingernut rangers proved to be too diva-esque to be asked to star in the show again, but the Eglu is currently home to some rather splendid puppet chickens instead. These hens and their coop will be travelling to various locations next month and you could be watching their final performance if you enter our competition. Win four tickets to see the highly hentertaining Cox & Box, at the Theatre Royal Wakefield, by entering our easy competition. Simply answer the question on this competition page to be in with a chance of winning. The competition closes on Friday 5th June and the winner will be able to choose from the matinee or evening performance on Saturday 20th June. Click here to enter and to find out more about the play! Last month we ran an Easter competition to win a Qute full of chocolate eggs. The winner was pleased as punch when she found out, so it was brilliant to hear how she has been getting on. Paula told us that her children, Millie and Jake, loved the Easter eggs “but what really made their eyes light up was seeing the Qute”. Within 24 hours of assembling it, they paid a visit to the local pet shop. 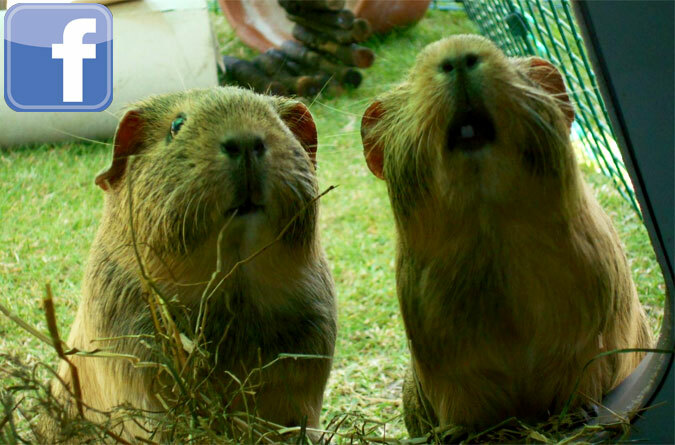 They now have two much-loved gerbils called Mr Jones Nibbles and Shredder Malfoy (genius!). We’re so pleased to know that Paula and Co are enjoying their Qute and we wish them years of happy gerbil-keeping. If you’d like to know more about the Qute Hamster and Gerbil Cage, click here! Can Heavy Metal make Hens Lay Large? We’ve heard about the effect that classical music can have on chickens’ laying behaviour before but even we were surprised by the news that heavy metal could make hens lay well too. 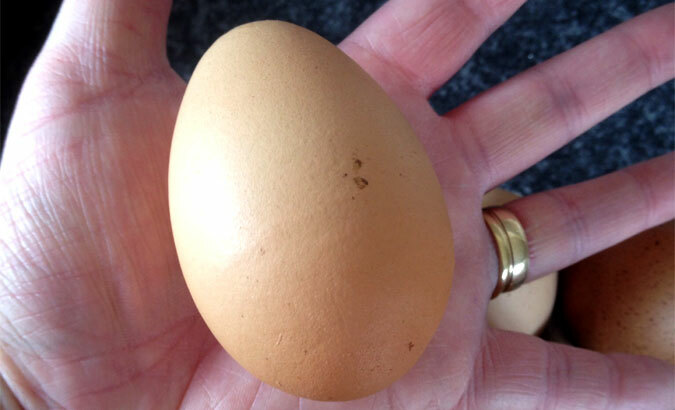 Chicken keeper Anne-Marie made this discovery after taking a radio into her chicken coop one morning. Their reaction to hearing the not-so-gentle sounds of Motorhead was so positive that she started playing them music every day, saying “they seem fascinated by it all and it really calms them down”. 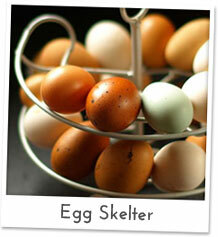 Studies show that music reduces stress levels in hens and calmer birds lay heavier eggs. That would eggsplain why Anne-Marie’s chickens have been laying eggs almost twice their normal size since listening to their favourite tunes then. Although Ace of Spades is their song of choice, they are partial to a bit of Mariah too. Have you tried playing music to your hens? Let us know what their favourite song is, we’d love to know! We are very happy to hear it too! 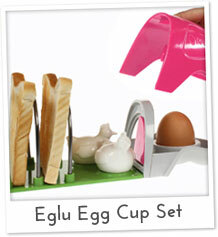 Click here to find out more about the Eglu Go Hutch and post your own photos to our Facebook page – we’d love to see! 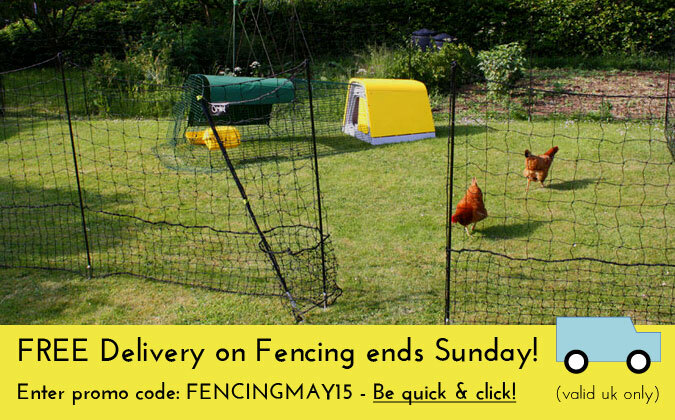 Free Delivery on Chicken Fencing Ends Sunday! 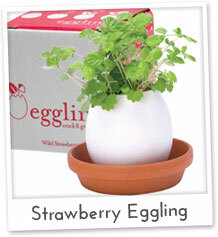 Thinking of eggspanding your chicken keeping area this summer? If you want to give your hens more space but you’re worried about letting them free-range in case they get first pick of the season’s strawberries, some Omlet Chicken Fencing could be just what the doctor ordered. Available in four lengths, this attractive fencing can be used to create a chicken keeping area in your choice of size and shape, giving your pets plenty of room to play whilst keeping your flower bed or fruit and veg patch safe.